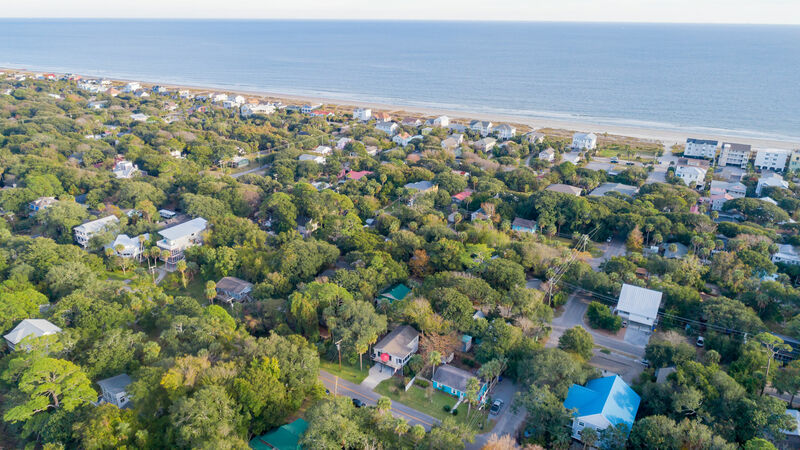 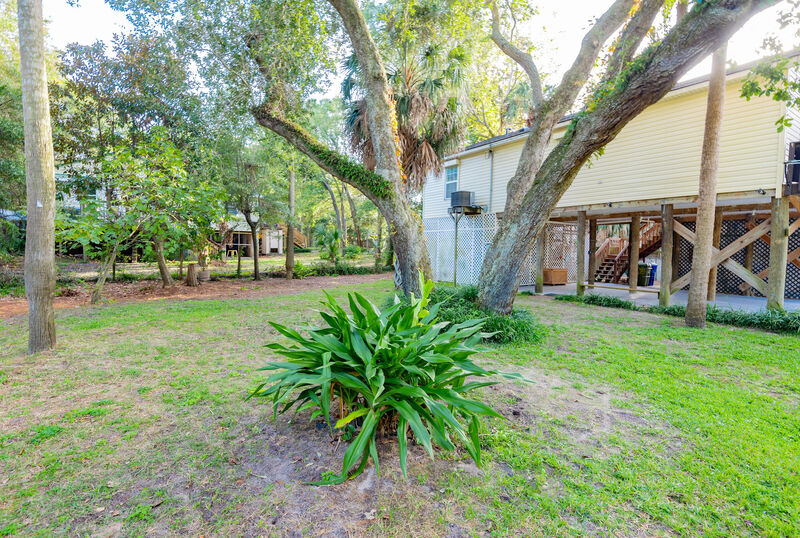 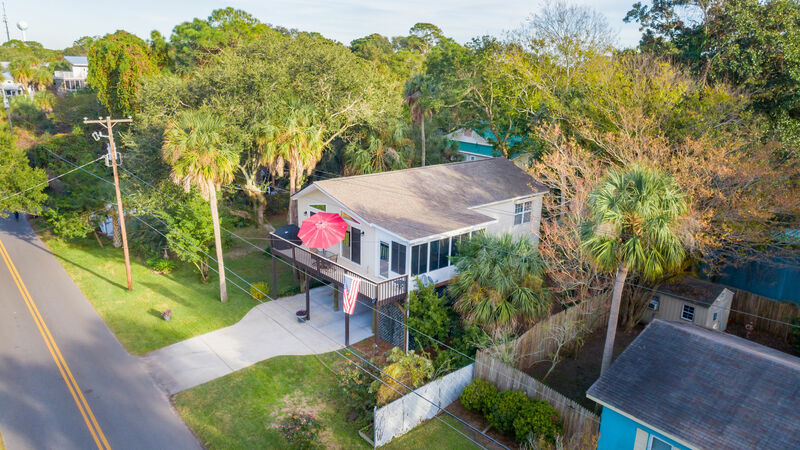 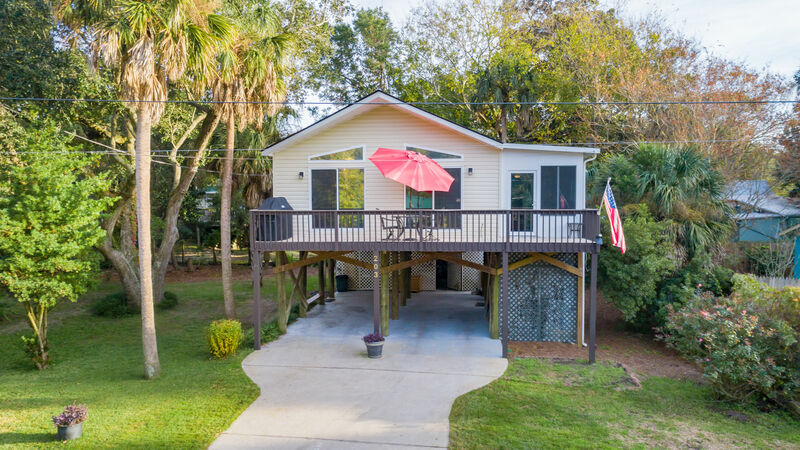 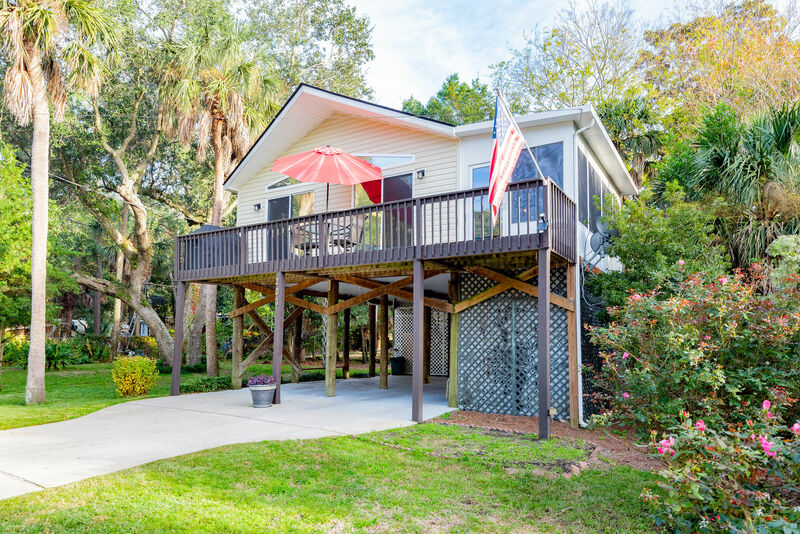 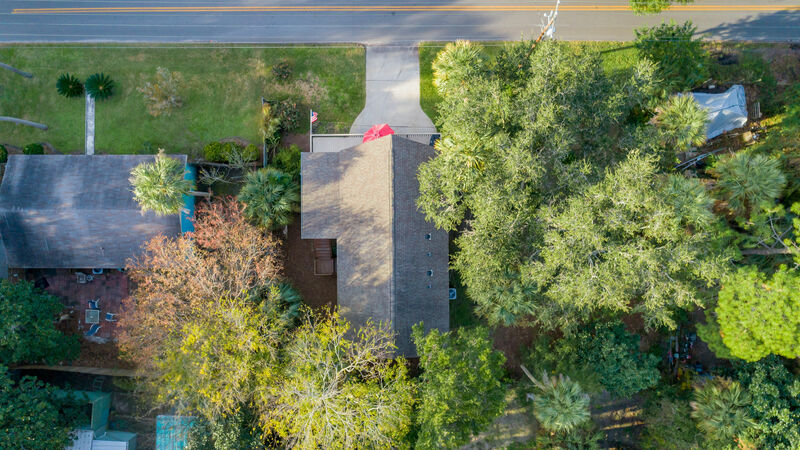 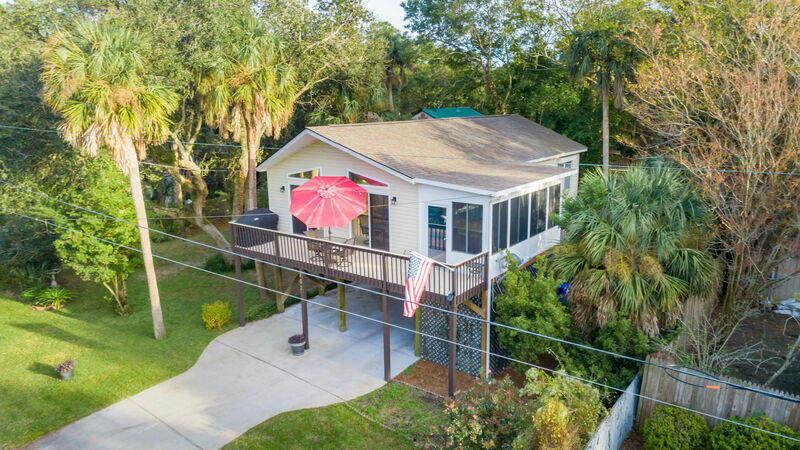 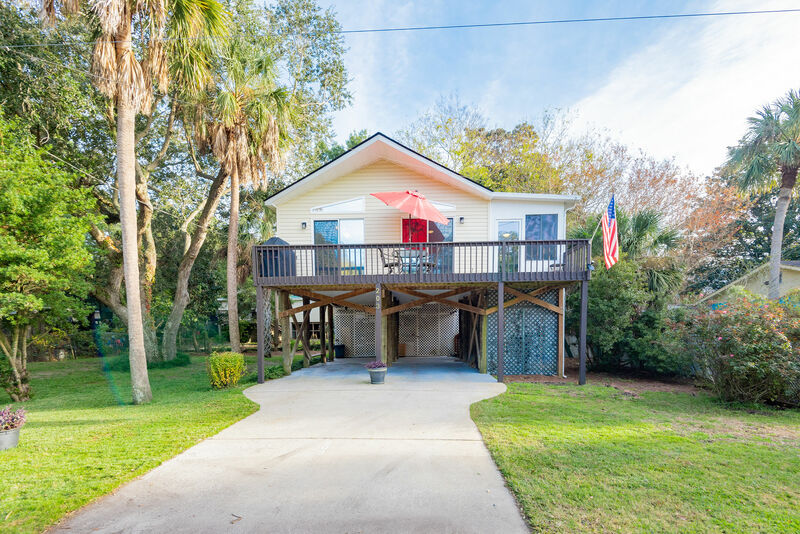 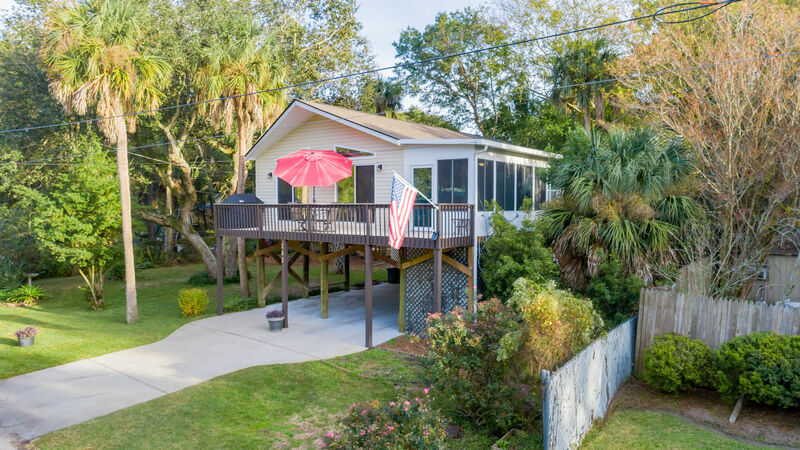 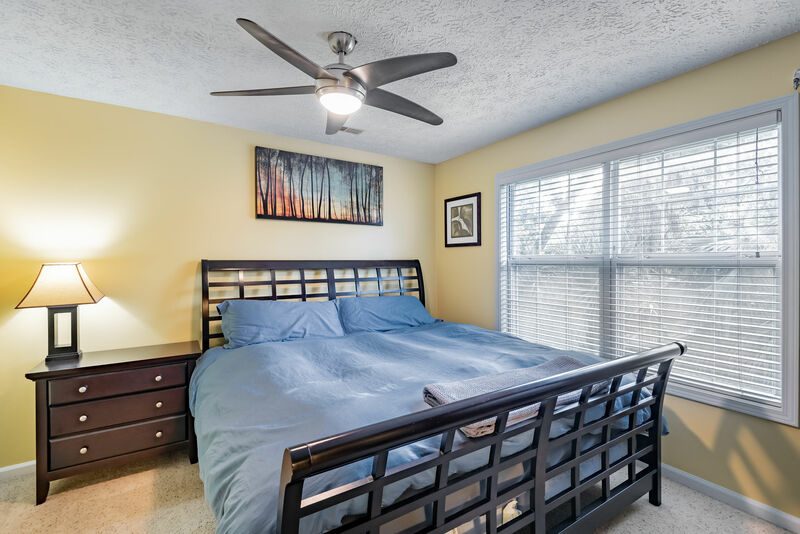 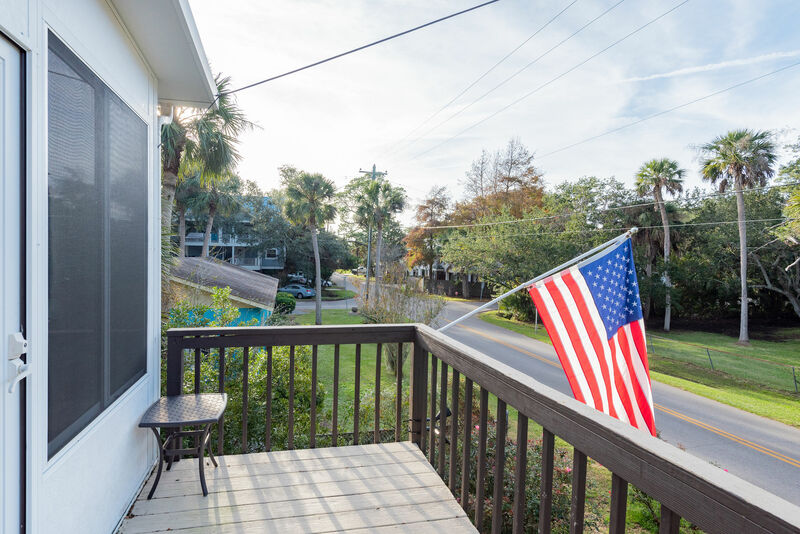 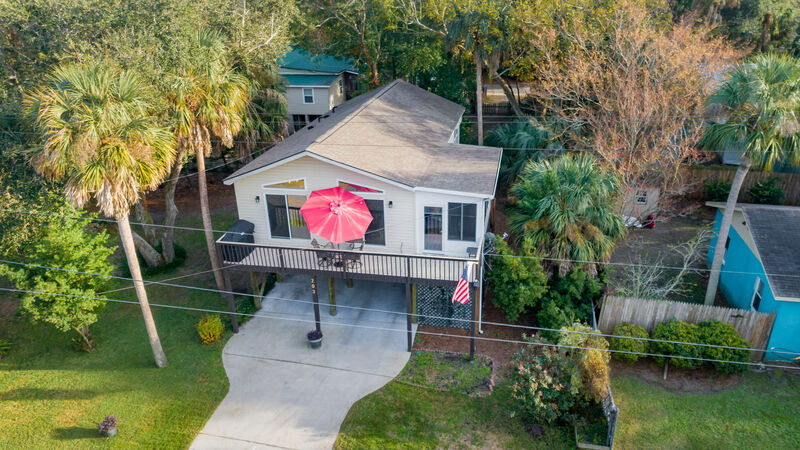 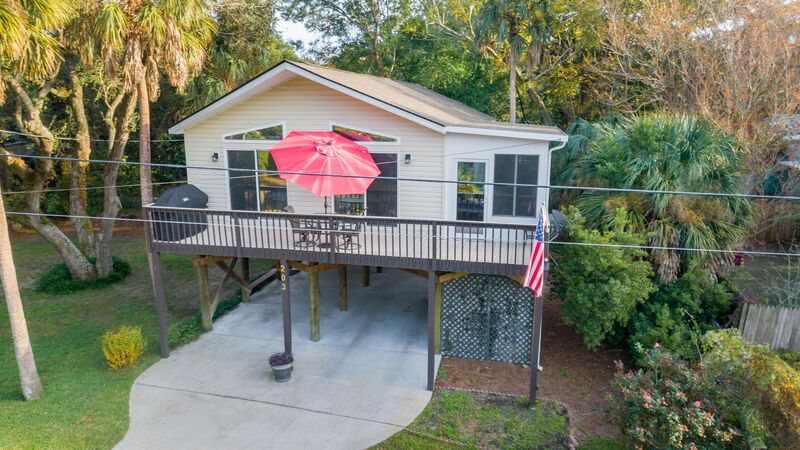 Here is your chance to live in a home on Folly Beach that is move in ready, elevated, and in a great location close to the beach. 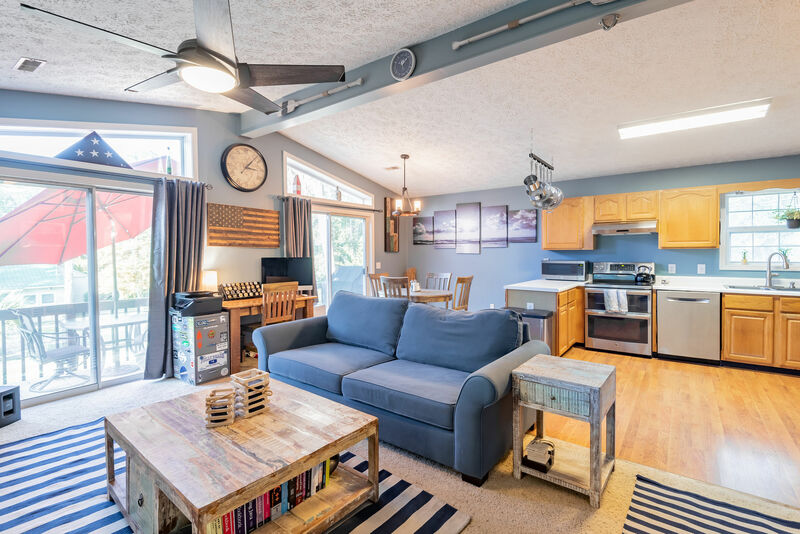 203 E Huron Ave is all one level, with 2 bedrooms & 2 bathrooms, a large open kitchen/living/dining combination, and lots of outdoor living space. 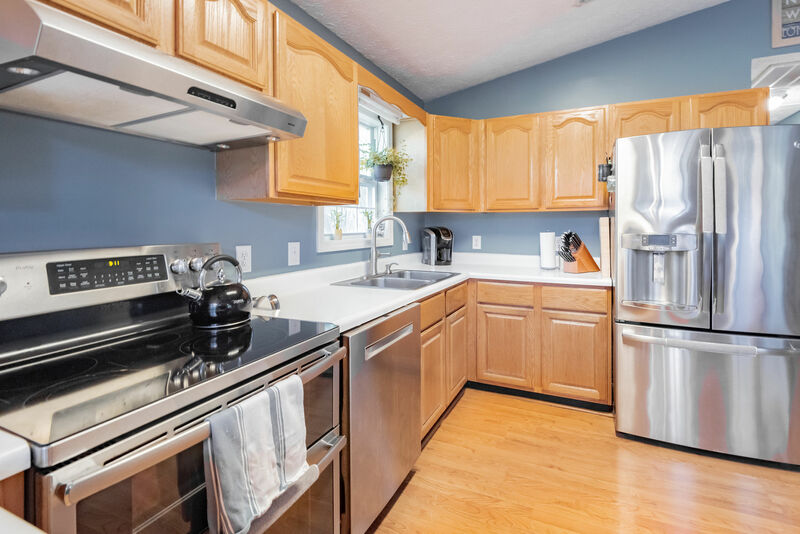 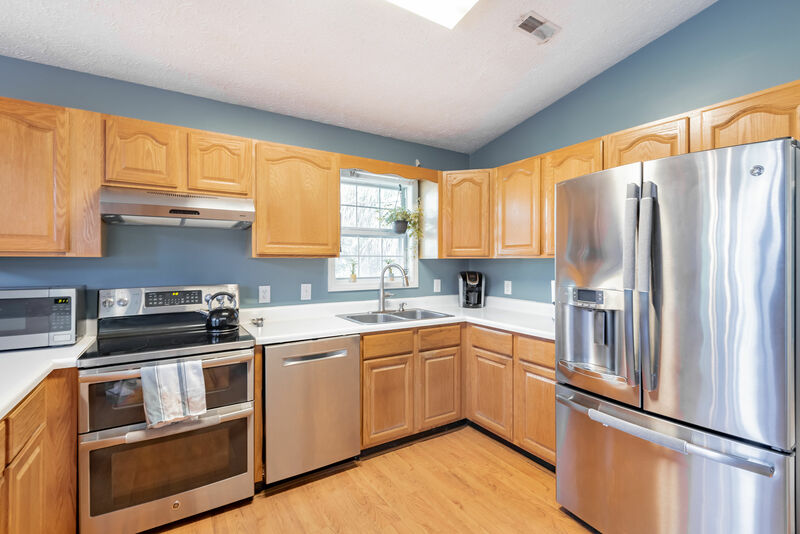 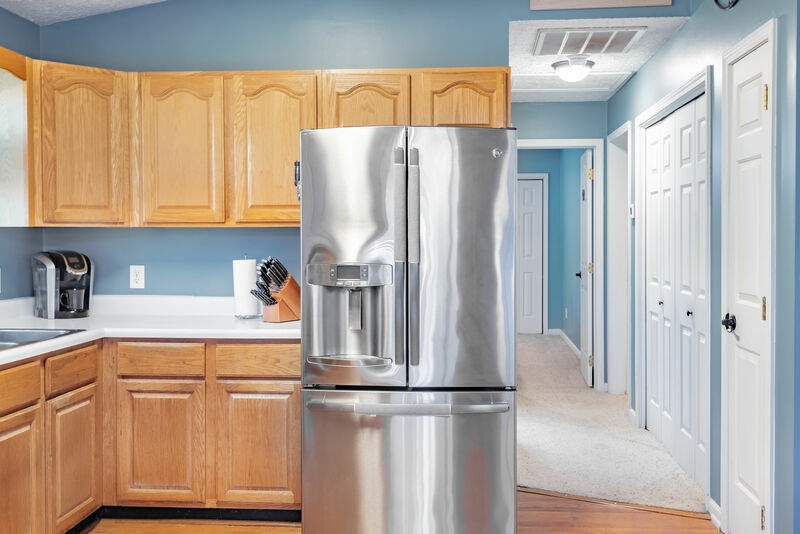 The kitchen has wood floors and has been updated including all newer appliances that convey. 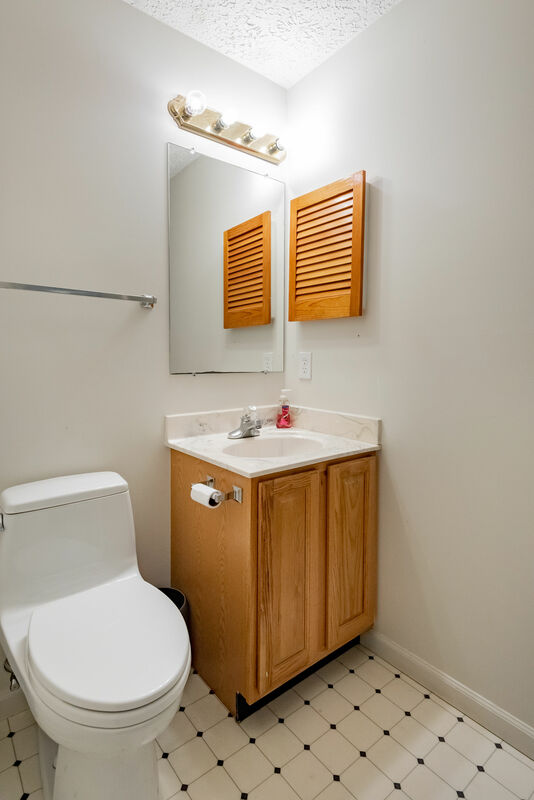 The home has been well maintained and shows pride in ownership. 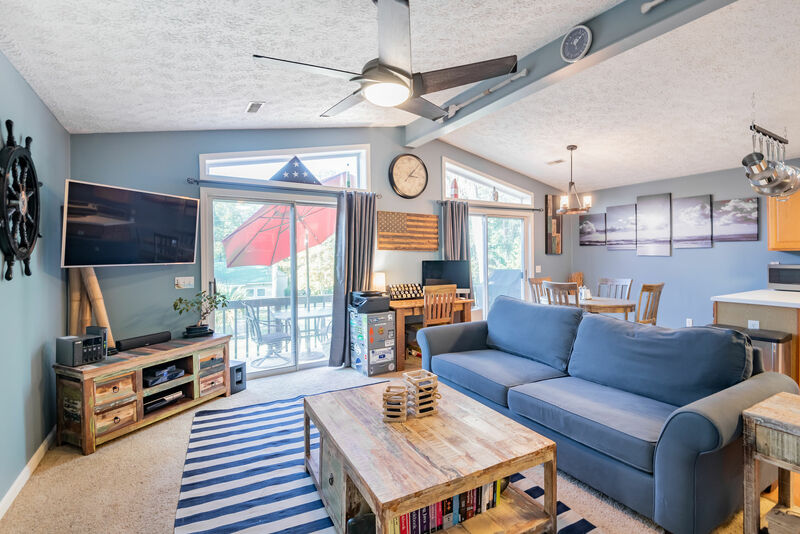 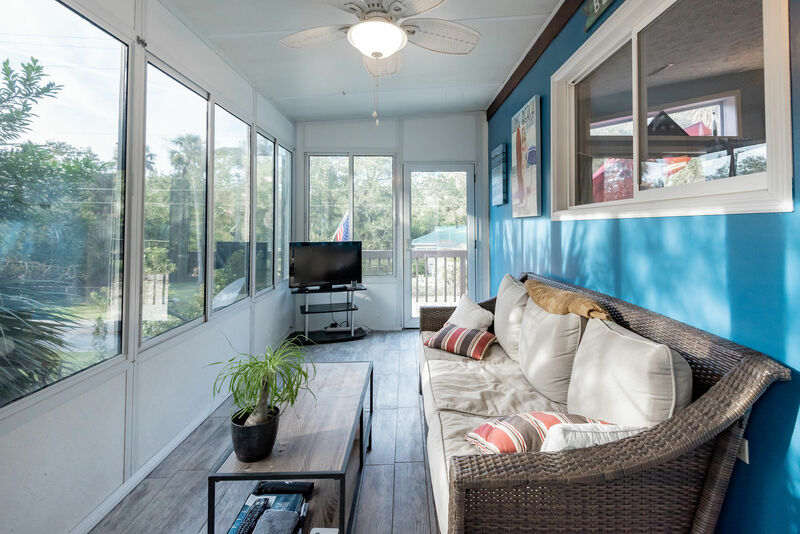 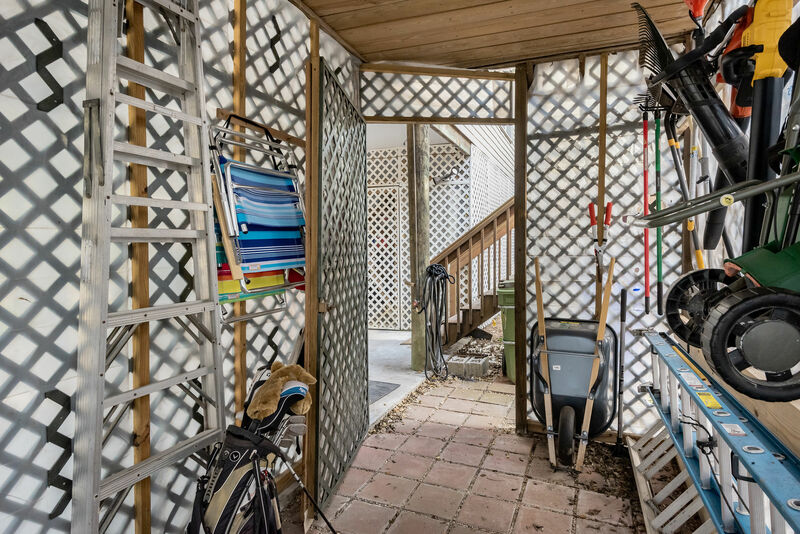 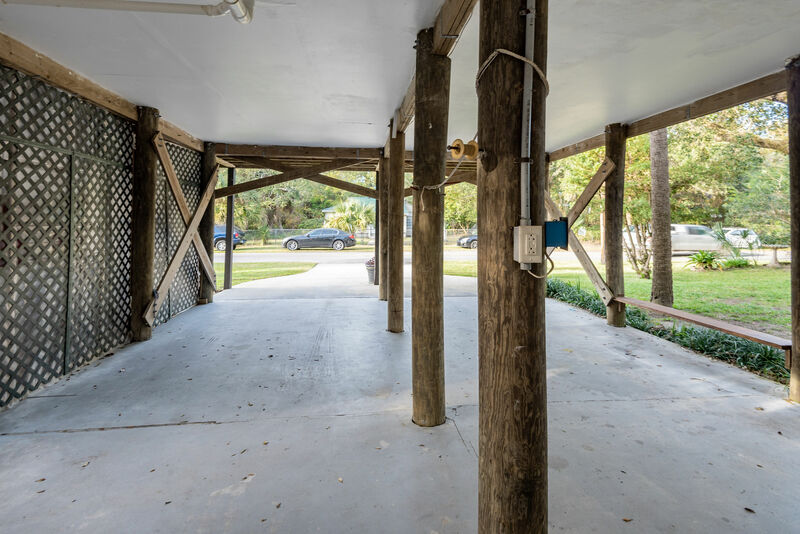 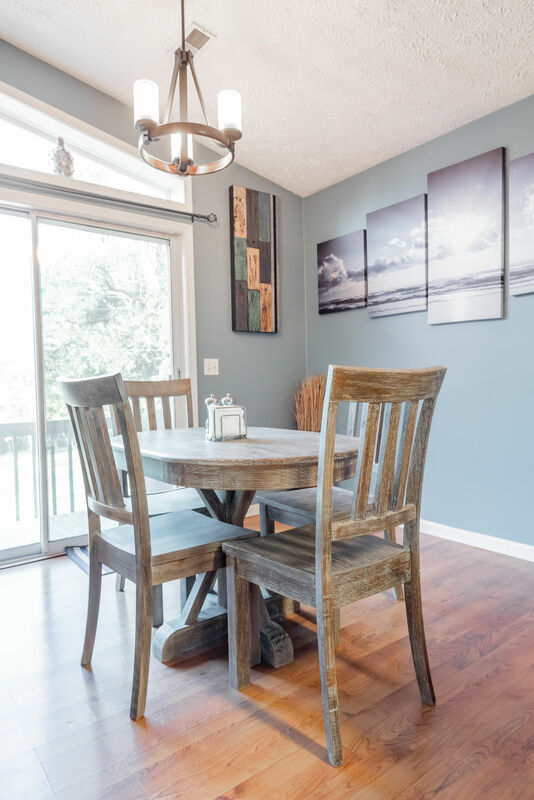 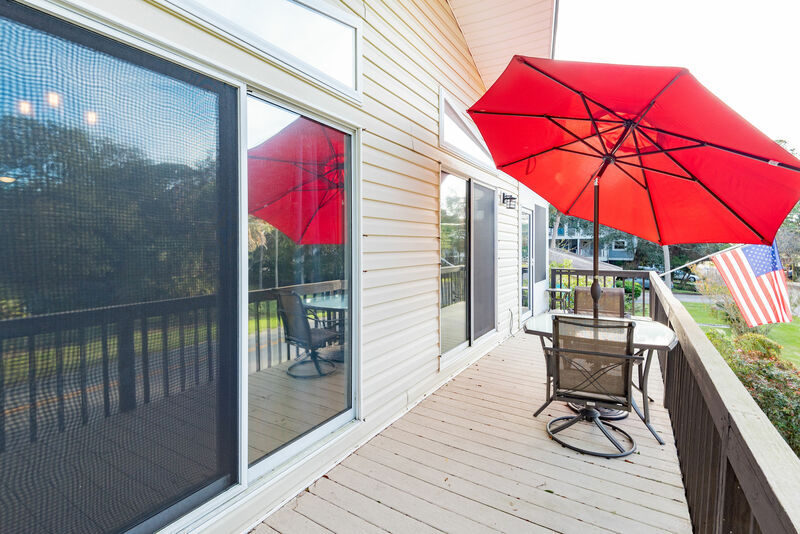 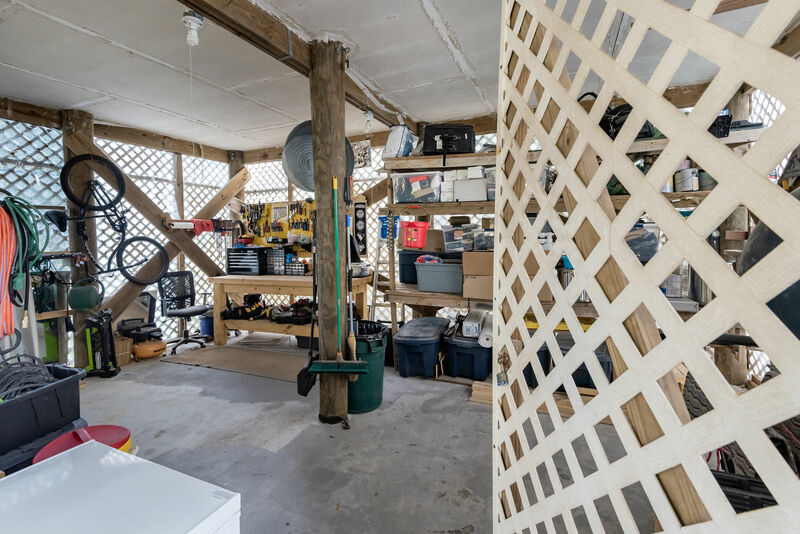 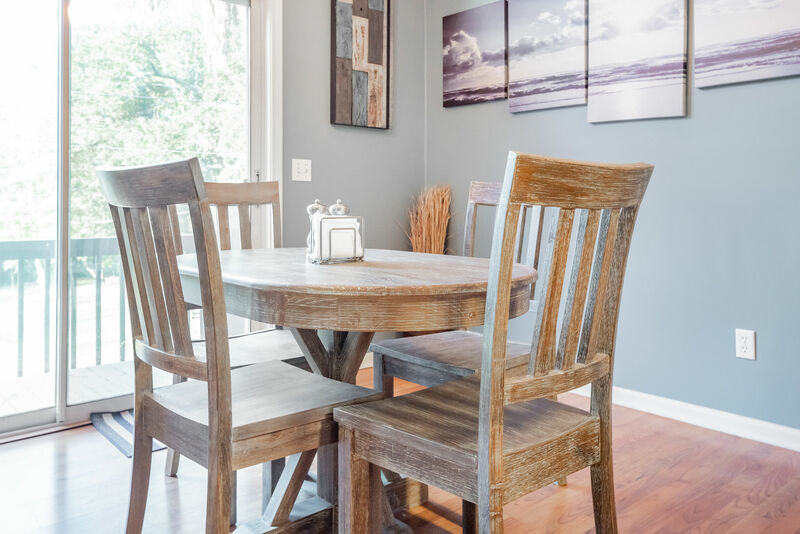 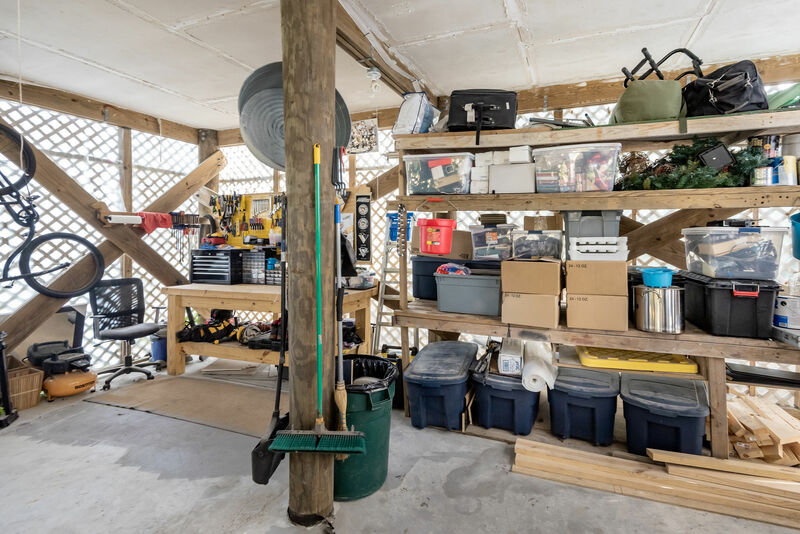 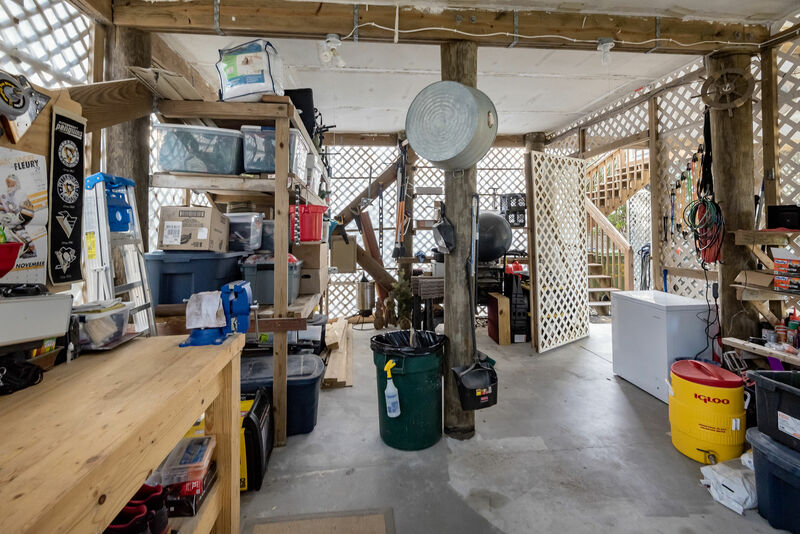 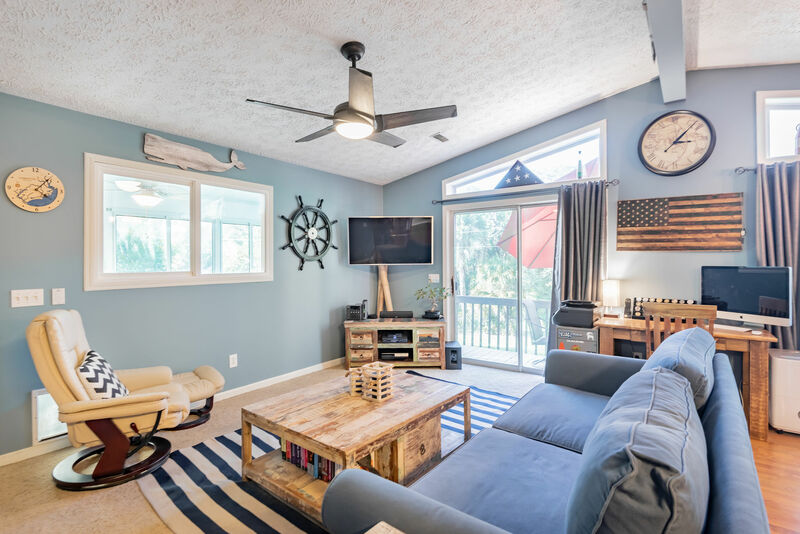 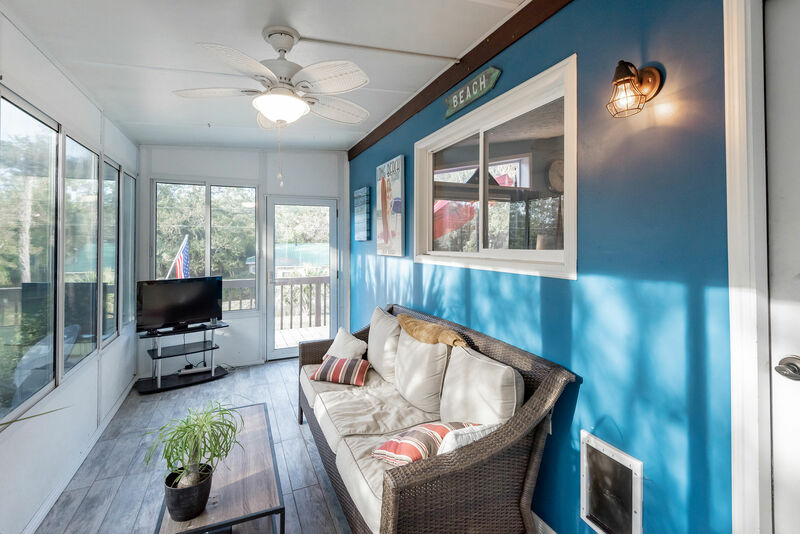 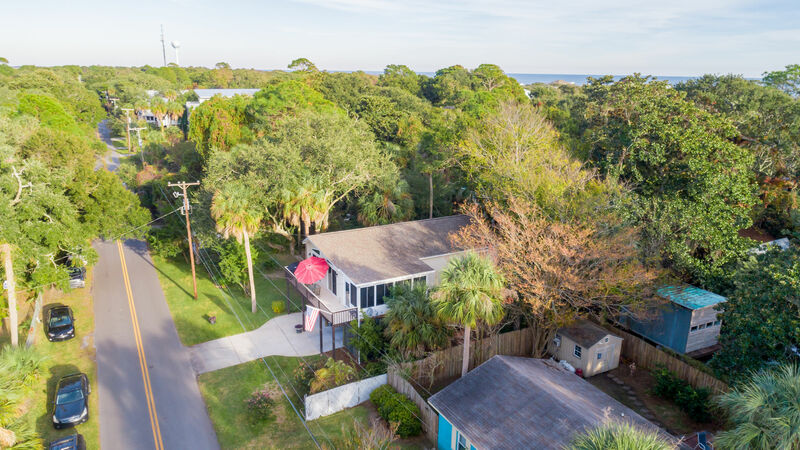 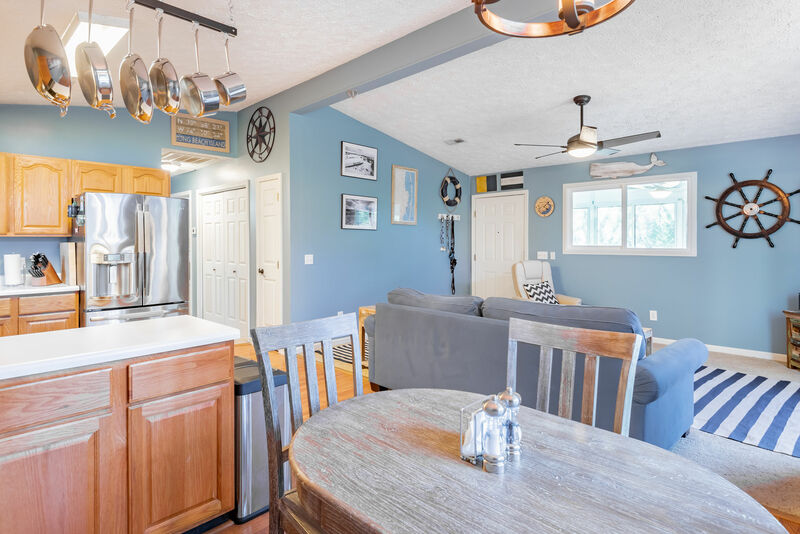 There is a sun room that is fully enclosed and a front deck for enjoying the ocean breezes, as well as two workshop areas below and a full yard. 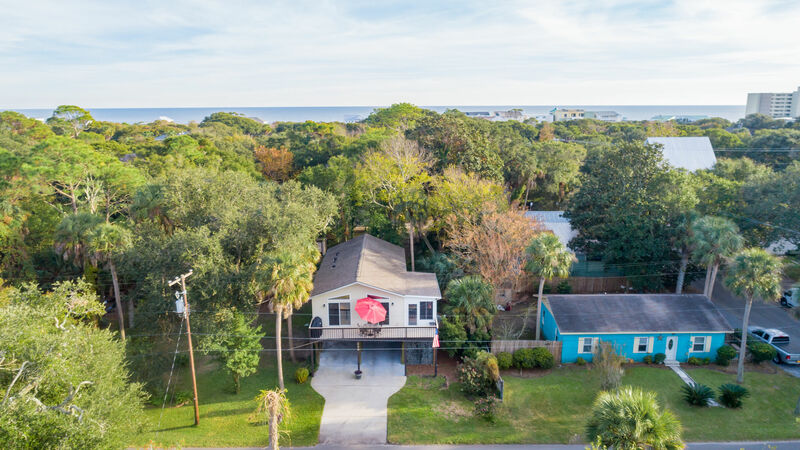 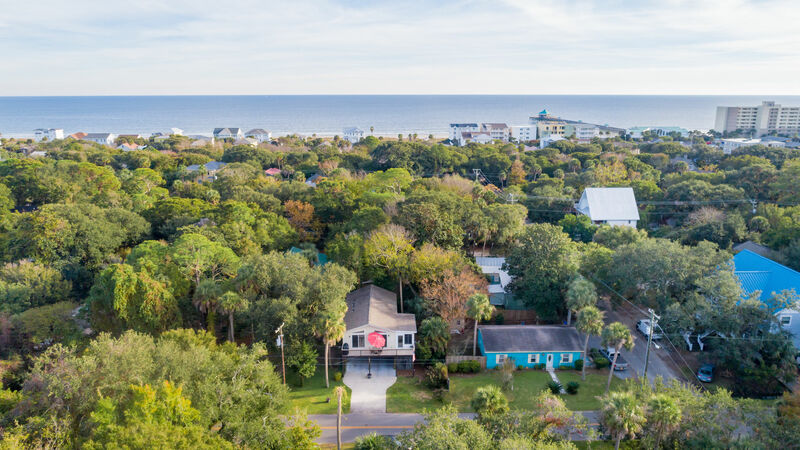 The home sits above base flood elevation according to a recent elevation certificate, and is a short stroll to Bert’s, Center Street, and the beach. 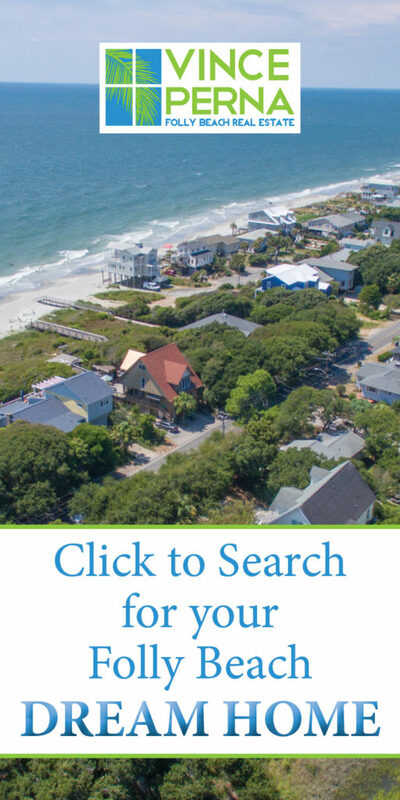 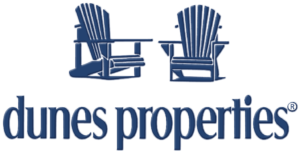 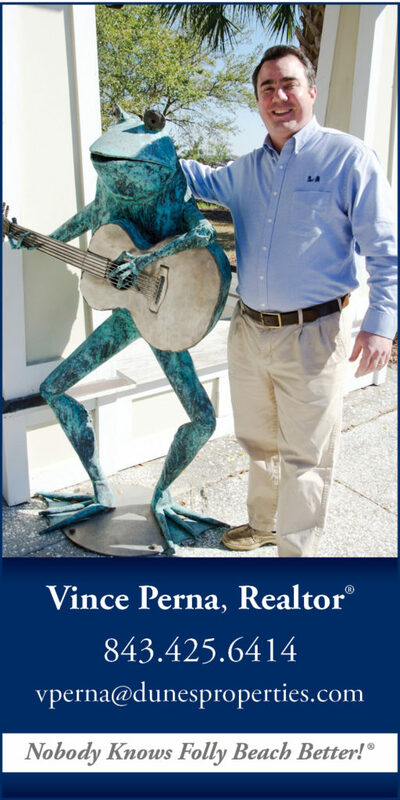 Perfect for a primary residence or as a vacation rental. 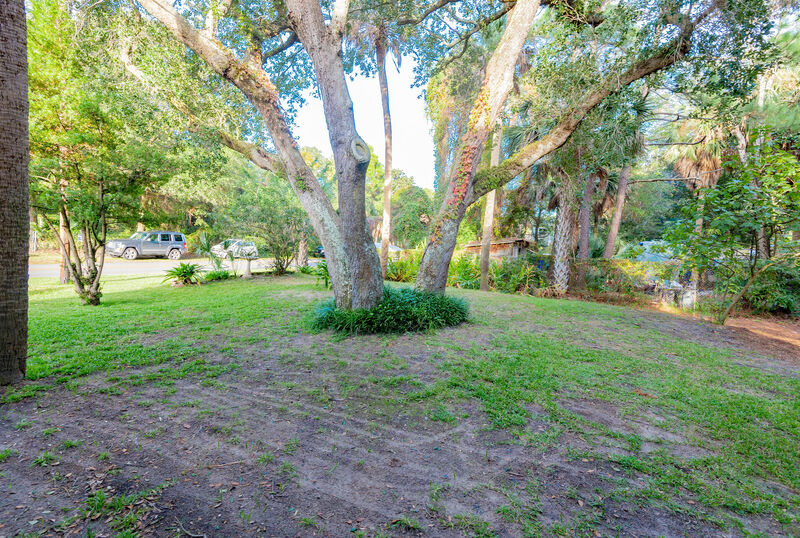 As you approach the home you will notice the two parking areas under the home that gives enough space for 4 or more cars with room for more. 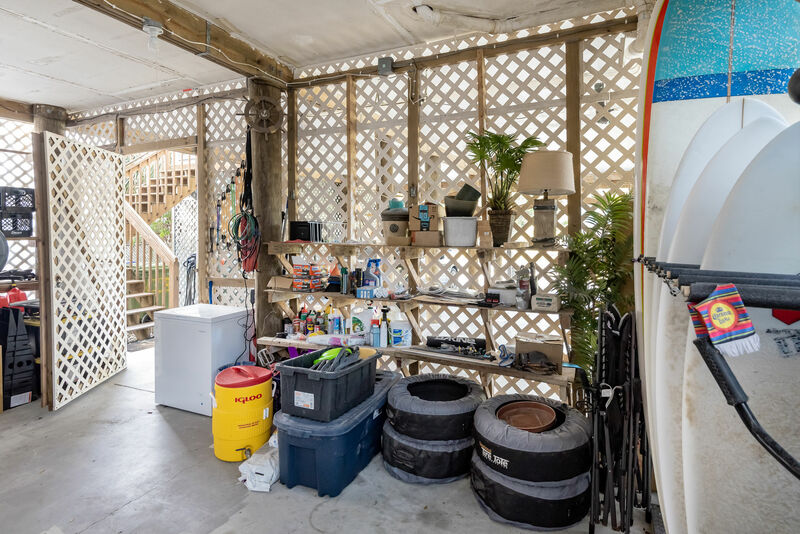 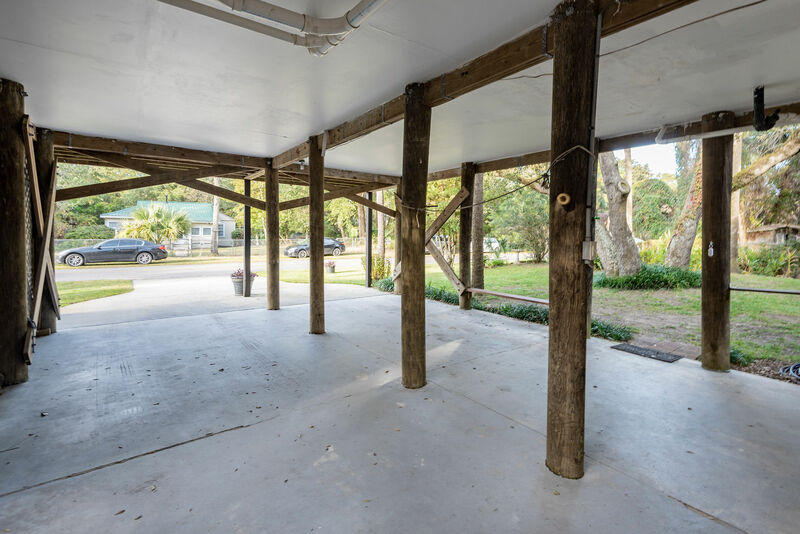 There is a larger work area on the ground level which is the perfect location for a fully equipped workshop, plus room for outdoor toys and a surfboard rack. 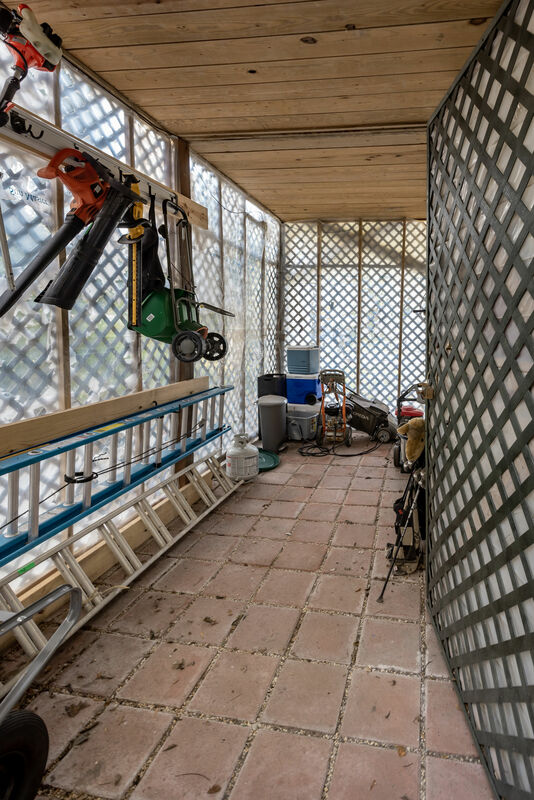 There is another smaller enclosure that offers more storage for planters and yard tools. 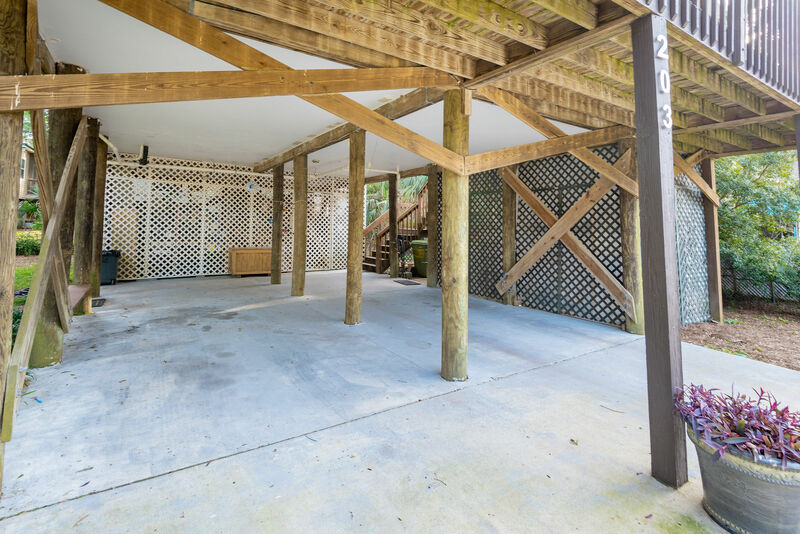 The is a big side yard and hurricane roll down shutters on the window exteriors. 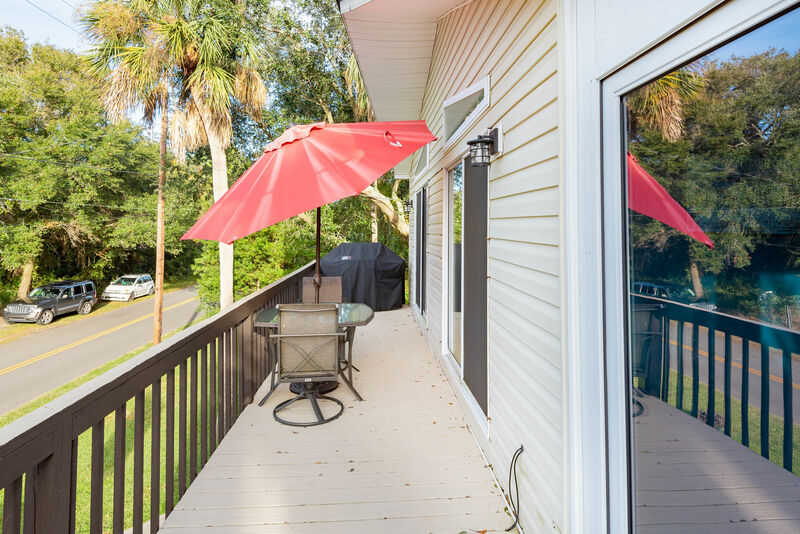 Up the stairs, you enter the sunroom which was professionally enclosed with sliding windows creating a room for all seasons. 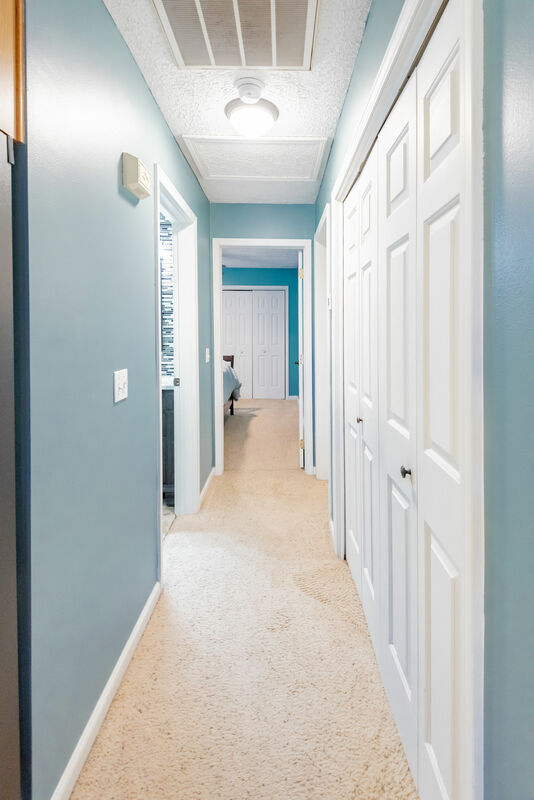 Through the front door is the great room that allows you to set up your living and dining room areas right off the open kitchen area. 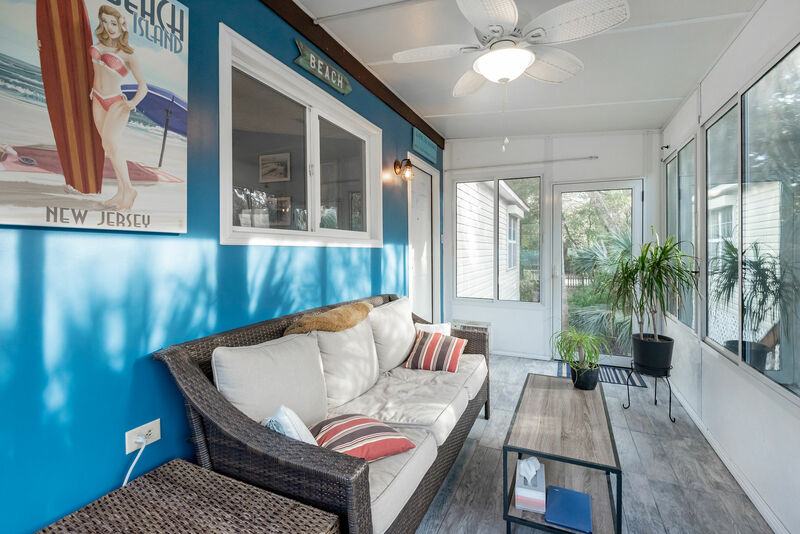 Off the living area is the front deck where you can step outside to test the weather, lounge in the sun, or just relax and hear the waves just a few blocks away. 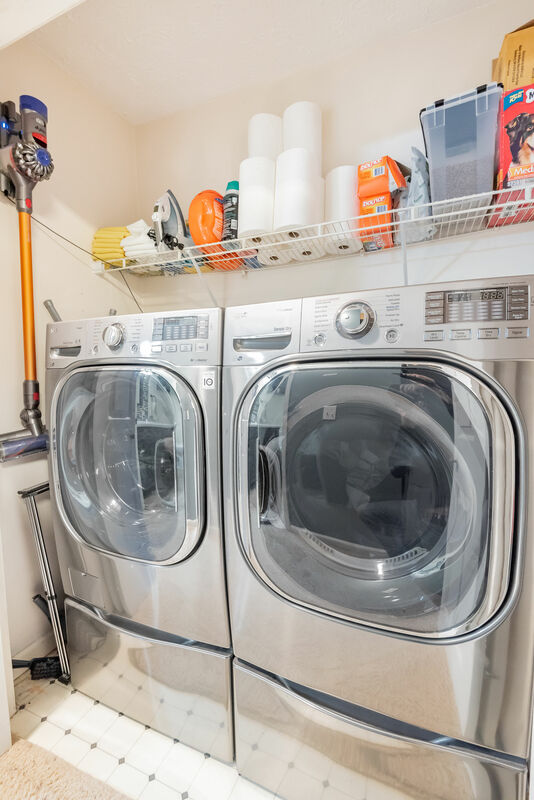 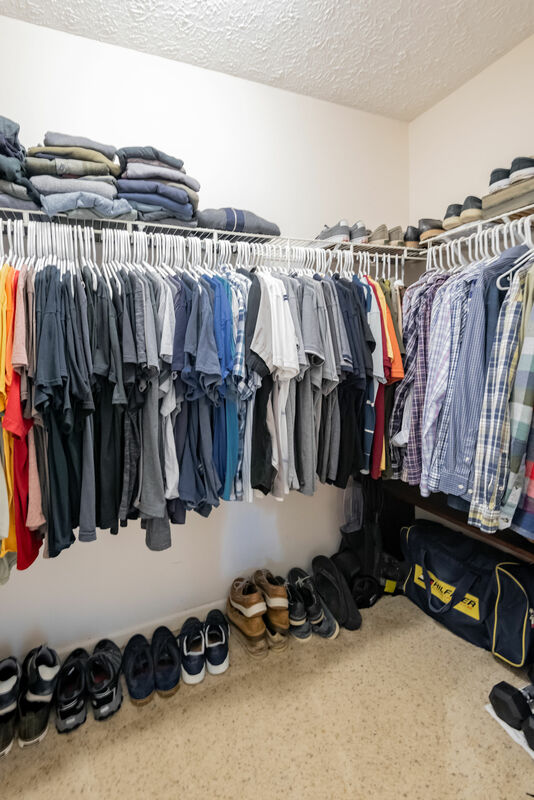 In the hall is the laundry area with a washer and dryer that convey and a full bathroom. 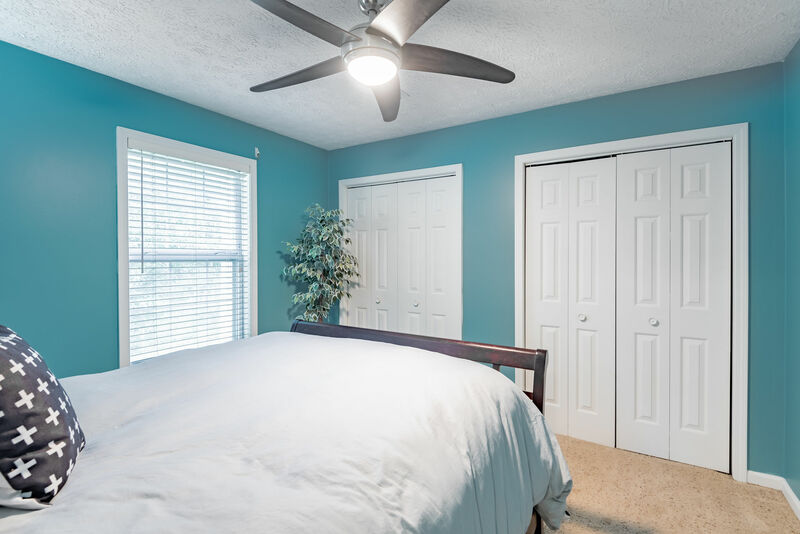 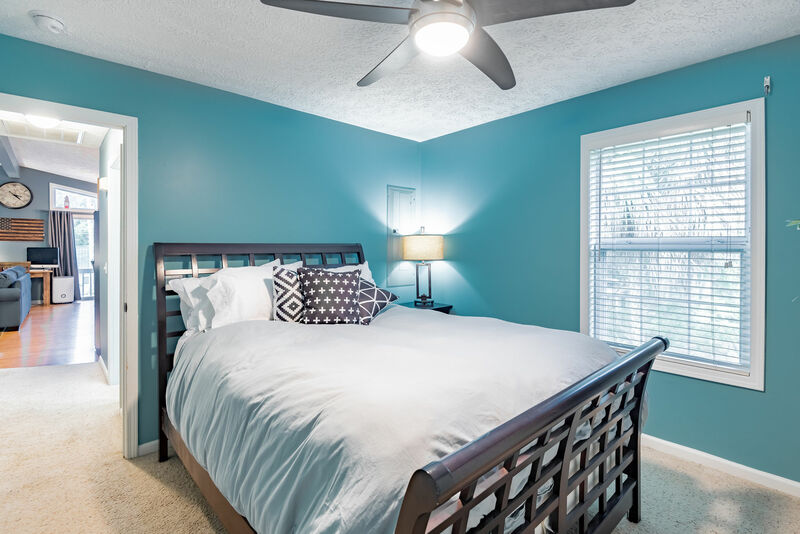 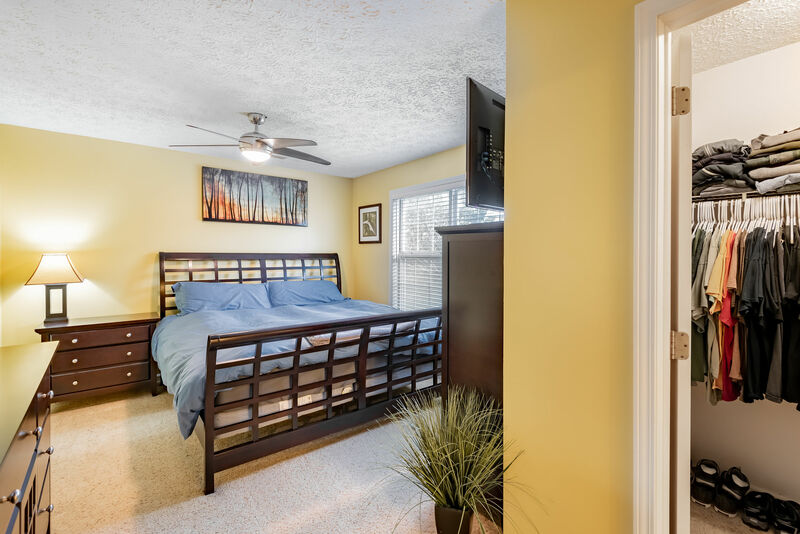 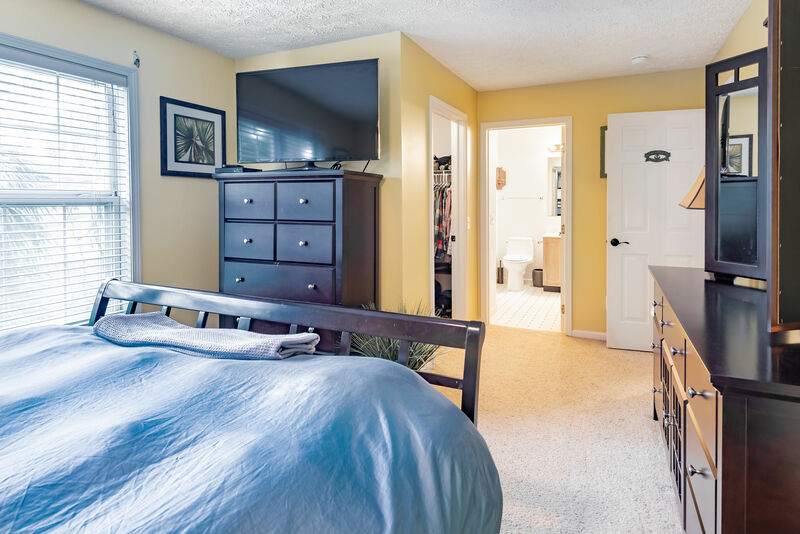 At the end of the hall are the guest bedroom and the master bedroom which includes its own full bathroom. 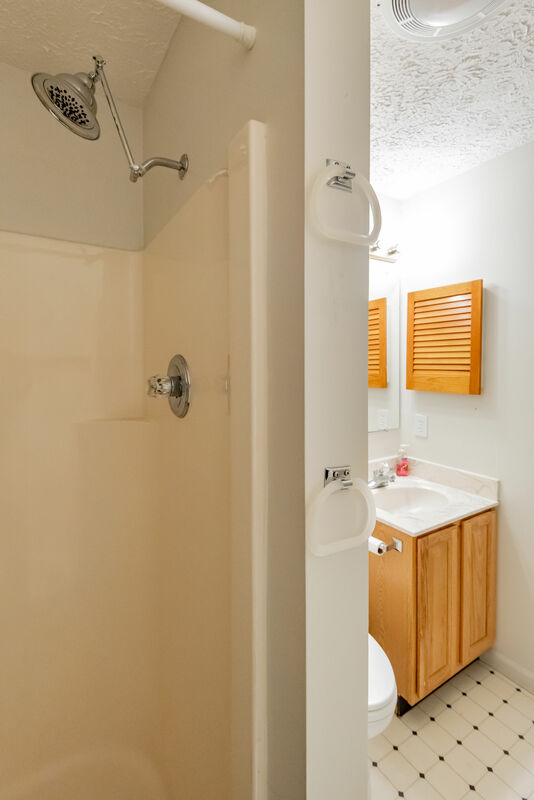 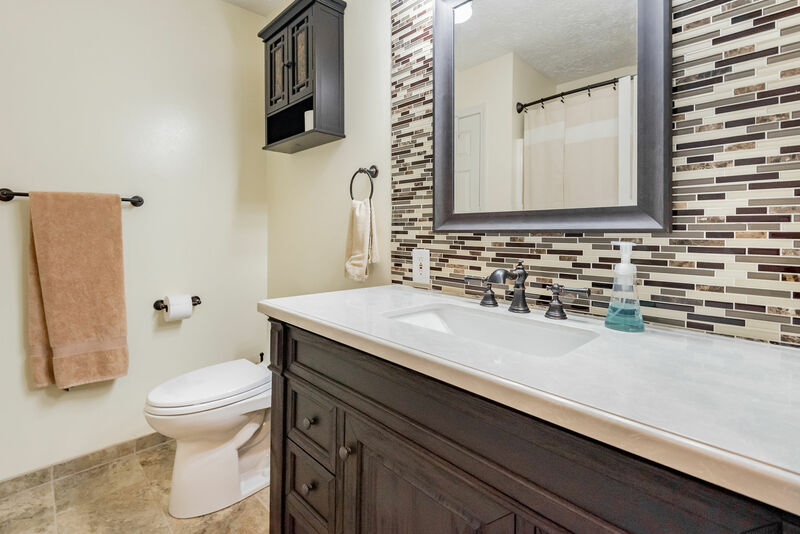 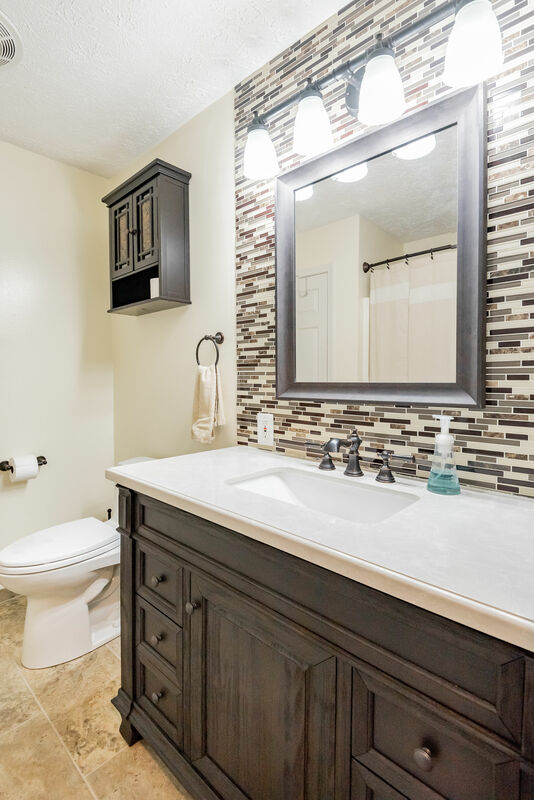 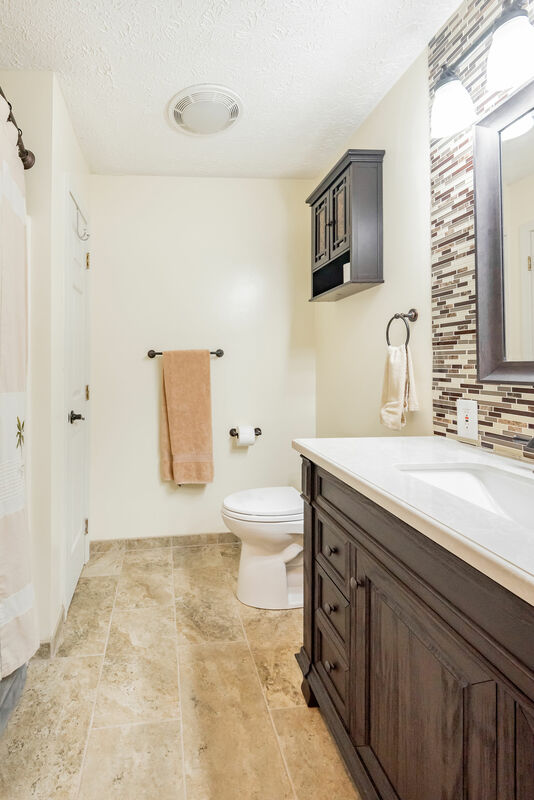 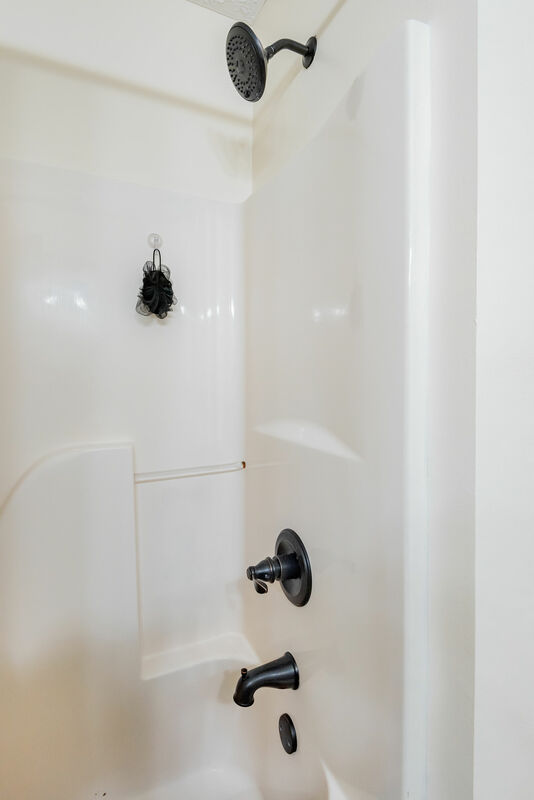 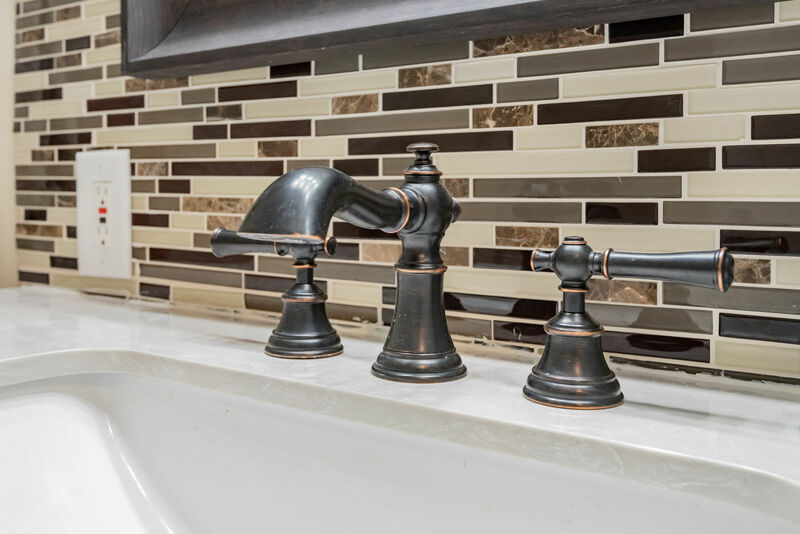 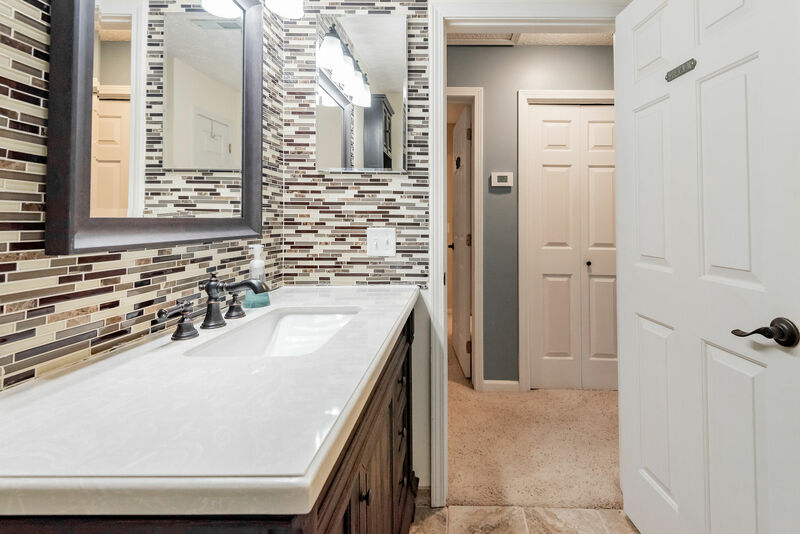 The hall bath has been updated with new vanities, fixtures, and tile floors. 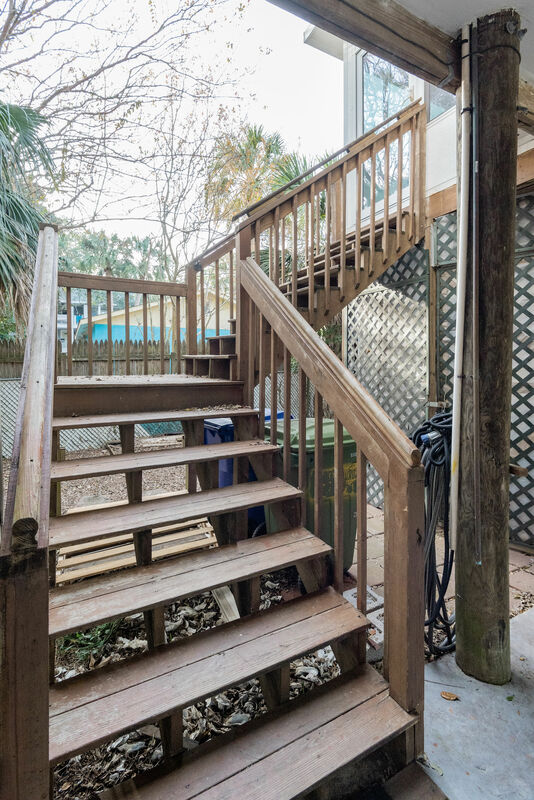 The location is close to Center Street but far enough away that it still feels quiet, and is around the corner from Bert’s and Chico Feo. 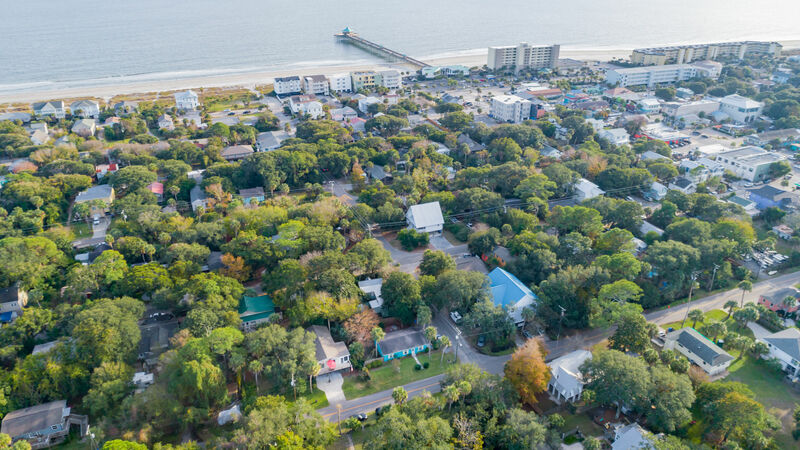 You can be on the beach in minutes walking straight down 2nd St. Come and join us on island time!